Sleeping in the car is typically a last ditch effort at getting some shut eye. 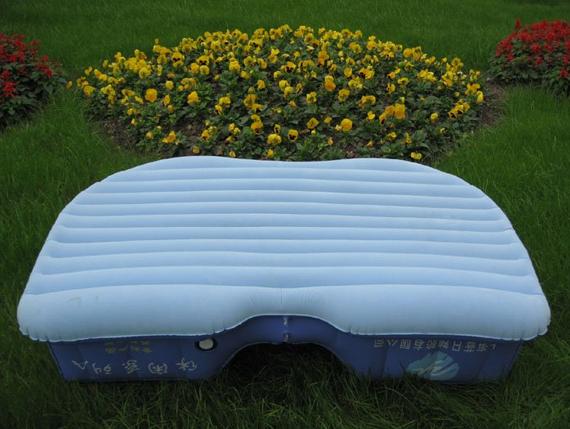 Whether you’ve been kicked out, ran away from home, or are temporarily displaced, the Inflatable Car Airbed seems to like an excellent way to convert an uncomfortable back seat into a suitable spot to rest. 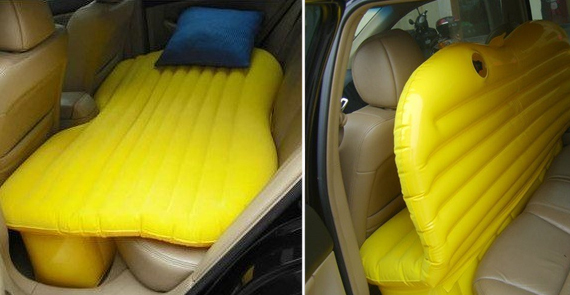 It’s also perfect for long road trips, where taking turns behind the wheel and being able to doze off is essential. And no, I’m not going to get into what other scenarios would benefit from a deluxe backseat experience, ya pervert. Draw your own conclusions.